Merry Christmas My Love video, Musikkbloggen etc..
Now you can also listen to the new Holiday tunes on YouTube. Merry Christmas My Love is accompanied by a photo montage. 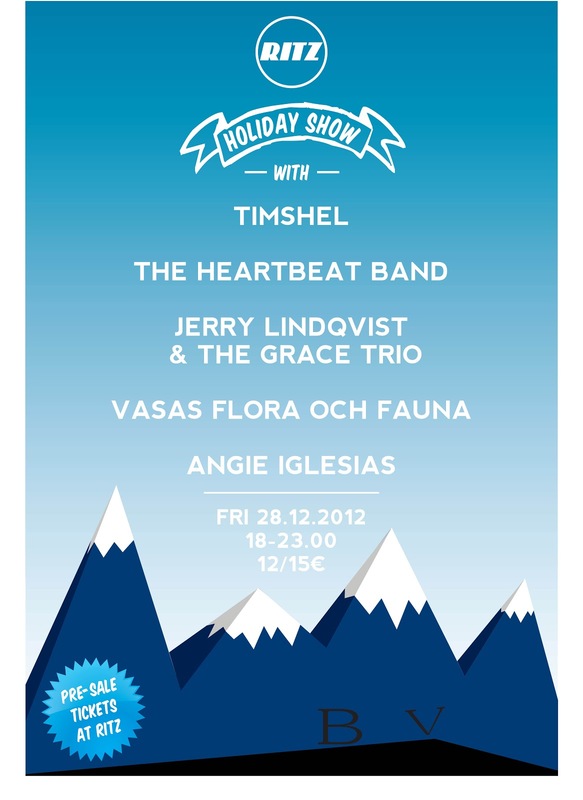 I'm excited about playing in my old hometown Vaasa on December 28th w/ The Grace Trio at Ritz. 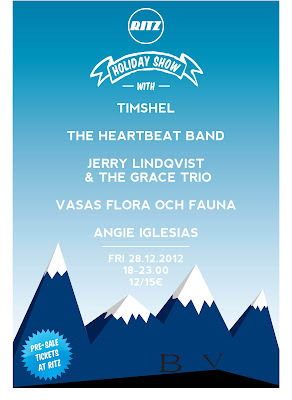 This Holiday Show has an amazing lineup so you wouldn't want to miss this one. The New Single - Every Day is Like a Holiday - Out Now! Jerry's brand new two-track Holiday Single is out now on Good People Listen to Records (GPLTR). December 6th is Finland's Independence Day. 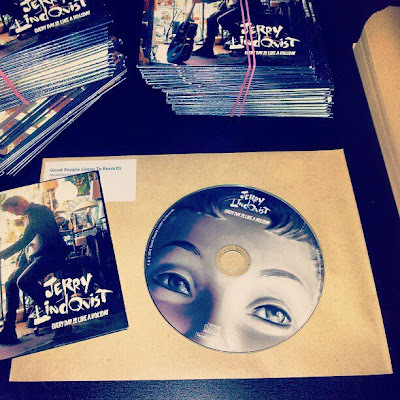 Today we are also celebrating Jerry's own independence as this is his first release on his very own record label GPLTR. Jerry's friend & photographer Lukas Renlund posted a story on his facebook.com/Lukas.Renlund.Photographer page about how our photo shoot for the single design went down in Copenhagen. 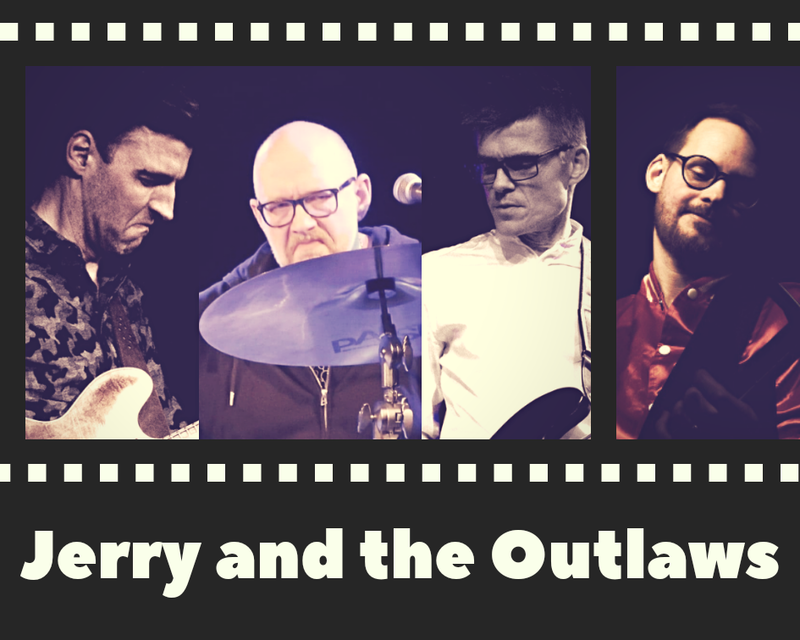 It was a pretty accurate account of what happened so I also want to share his story with you..
"Not too long ago I had the fine pleasure of welcoming my childhood friend Jerry Lindqvist to Copenhagen for a weekend-long photo shoot. Jerry needed some pics for his upcoming album and X-mas single. I had chosen the vintage lighting fixtures store Hot Kotyr in Nørrebro as our location. Little did I know, the manager would turn out to be Copenhagen's grumpiest (gentle)man. He simply hated the idea of having us walking around his store taking photos. Bad experiences from similar requests in the past seemed to be the reason of his discomfort. Then finally - with a little patchy small-talk, a few conditions agreed and some good old fashioned bribery (24 cans of beer) he agreed to let us use the place for one hour and "not a minute longer". It went great! We got all the shots we needed, and more. Here is one of the photographs we made that day. It is the cover of Jerry's next single, Every Day is Like a Holiday. The song is actually about the loss of a family member and how the Holiday season can be a hard time for anyone who is alone or has recently lost a close one. With all that said, I hope you'll enjoy the fruits of our collaboration. So long!" You can check out Lukas work here: www.lukasrenlund.com and be sure to like his FB-page as well!